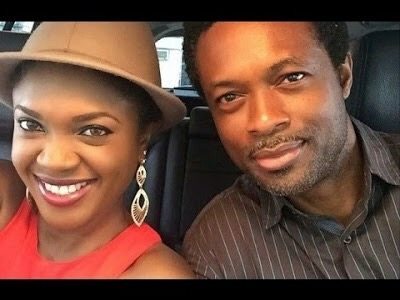 Nnamdi, the husband of Nollywood actress, Omoni Oboli has given an intelligent counseling on what needs to be done to have a successful relationship. According to the author who wrote the book “Its’s All Up To You”, the focus on petty things has been one of the causes why couples are in an estranged relationship. “Today, it’s anger towards the husband for putting up the toilet sit. “But a little stretch of the hand to put it down would stop the dissension brewing in hell’s pit. “The toothpaste tube conversation stretches through, to usurp valuable quality time. “But a little shutting of the mouth would have stopped the irretrievable hateful words like the mouth that has just tasted bitter “lime. “The love we profess to one another suffers under the tyranny of our quest for selfish dominance. “But the nurture and realization of our professed love must always be of utmost importance. “The individuality of each of the couple must lose its meaning from what it was before marriage. “But not entirely at the expense of losing your valuable attributes that once were the attraction, thereby suppressing unexpressed rage. “Marriage is not a do or die affair, so don’t go into it hurriedly just because. “But marriage is a do or die affair that couples must fight for within godly reason to achieve a worthy cause. “Many people hurriedly open their mouths to aggravate situations which often only serve to entertain a third party’s musings. “But learn to control and guard your God-given territory, knowing that love covers a multitude of sins. “It may seem like a simple advice cannot solve the complicated web of problems we’ve wielded for ourselves.